Sacroiliac hip pain symptoms are often confused with symptoms that originate in the hip joint itself, as well as pain syndromes that replicate traditional hip bursitis. Since the hip joint and SIJ are anatomical neighbors and since mobilization of the leg tends to affect both regions, pain is easily mistaken between these 2 bodily locations. This occurrence is confounded by the normal degrees of hip joint deterioration often seen on diagnostic imaging studies of adults which are typically blamed for creating the pain. The hip region is one of the more problematic in the human anatomy and statistically is worsening year over year. Why is this area so troubled in modern humans, compared to our ancestors who dealt with far worse living conditions for millennia before us? Additionally, is it truly possible to successfully confirm the difference between hip pain syndromes, SI joint pain syndromes and conditions that often mimic one or both of these pathologies, such as tension myositis syndrome? This important essay examines the incidence, causation and expression of SI joint pain in and around the hip region. We will highlight the misdiagnosis that affects many patients and provide tips on preventing this from becoming your fate when seeking relief from hip/SI pain problems. 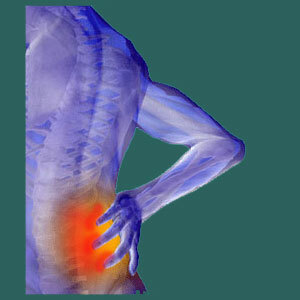 Pain is the most common expression of sacroiliac symptoms in the hip region. The SI joint is in close proximity to the hip and pain experienced in the sacroiliac can radiate into the hip, as well as into neighboring areas like the buttocks, groin, pelvis, legs and even feet on rare occasion. In addition to pain, patients might feel as if their leg might give out on them, due to joint deficiency. This is common with both hip and SI joint diagnoses, especially hypermobility and severe sacroiliitis conditions associated with the latter diagnostic location. A minority of patients might express neurological symptoms in the greater hip area, as well, including tingling or numbness. These conditions might be indicative of nerve involvement, such as compression of the pudendal or sciatic nerves by one or more ligaments within the larger SIJ anatomy. Pain that seems to reside in the hip, but is caused in the SI joint, can originate from many different sacroiliac disorders. This is because discomfort from virtually all SIJ conditions is not limited in scope to just the joint itself, but instead tends to affect the regional area of the hip, pelvis, lower back and buttocks, regardless of the specific nature of the diagnosis. The reason for this occurrence is that the soft tissues that attach to the sacrum and pelvis are all interconnected and interdependent. When one suffers strain or pain, it is common for all to feel the stress and for discomfort to subsequently spread over the regional area. This is one of the reasons why SI joint pain is so difficult to accurately pinpoint in many patients. Sacroiliitis and sacroiliac joint dysfunction can both be responsible for creating pain throughout the joint and into the hip. Ligamentous hypermobility often feels strikingly similar to hip joint deterioration in terms of the lack of integrity expressed in the joint and the perceptions of weakness in the upper leg attachments into the torso. Hypomobility can also feel like advanced cases of hip deterioration where the hip socket is worn out and tight due to osteophyte activity. Many disease-related SI joint problems, such as those enacted by rheumatoid arthritis or ankylosing spondylitis, can also affect the hip, as well. This brings us to a very relevant point that needs to be made: Pain in the SI joint and hip might come from injury, disease or degeneration of both structures and does not inherently mean that the symptoms come from just one area or the other. There can potentially be 2 distinct areas of symptomatic pathology and doctors must remember this when evaluating the painful complaint. All hip and SI diagnoses are on the rise due to increasing rates of obesity and sedentary lifestyle in the modern, developed world. Many patients cite hip pain as their primary complaint, but their actual suffering might not be located in the hip itself. The SI joint is just a bit deeper and a bit higher into the body, in basically the exact same locale as the hip joint proper. Since many hip pain complaints occur on the top surface of the joint, SI joint pain is easily mistaken for true hip-motivated pain. Additionally, hip pain and SI joint pain are both influenced by movement of the leg, often involving exacerbated discomfort upon weight bearing, climbing, standing and transitional movement between sitting/standing or reclining/sitting. Similarly, many sacroiliac pain complaints might instead truly exist in the hip joint, instead of, or in addition to, any atypical condition that may or may not produce pain in the SIJ itself. We see frequent mistaken diagnosis of SI joint pain as coming from the hip, especially since the hip is likely to demonstrate significant structural degeneration in middle aged and older adults. Remember that many SI joint diagnoses do not provide much verifiable structural evidence in the same manner as hip diagnoses do. We also see a few patients being diagnosed with SI joint concerns, when their pain instead originates in the hip. Patients are strongly advised to always seek more than one diagnostic opinion and be sure that care providers are evaluating all possible locations and sources of pain before beginning treatment. Failure to comply with this recommendation often leads to disappointing therapy results, since the pain’s true origin has been incorrectly determined. It happens more than you might think, so don’t let it happen to you.